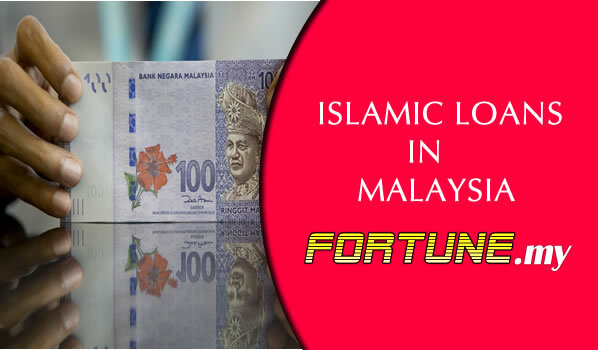 There has always been a lot of misconceptions when it comes to Islamic loans and finance especially in a multi-cultural country like Malaysia. Many consumers feel that Islamic loans are meant only for the Muslims and this is very untrue. To understand Islamic loans, the background of Islamic finance must first be understood. Malaysia has been one of the major movers in Islamic finance since it was introduced back in 1963. That was when Tabung Haji or the Malaysian Pilgrims Fund Board was established while some 20 years later, Bank Islam was officiated. The idea behind having Islamic banking in Malaysia was to have a model that runs in parallel to the conventional financial system and today, is considered to be among the more stable financial products. In the past few decades, there has been a lot of new Islamic loans being offered by banks and financial institutions. In fact, there has been a lot of demand for such products which explains why most banks have offered these loans in one way or another. The product offered by this foreign bank is known as the Murabahah Personal Financing-i. This is typically a flat-rate financial plan and is perfect if you need some extra cash for any reason. This unsecured Islamic personal loan is designed based on the Marabahah Commodity and eligibility is between 21 and 60 years old. Amount that can be borrowed starts from RM30,000 and goes up to RM250,000 depending on eligibility. HSBC bank offers the HSBC Amanah Personal Financing-I which is an easy-to-apply and hassle-free loan. This loan allows you get a loan for up to 7 years and a maximum of RM150,000. The good thing about this loan is that it does has very affordable payback amount with interest at 8.75% and you are not bound by any hidden fees or any guarantor. The RHB Personal Financing-i Civil Sector is as its name implies, a loan package meant or government servants. It is very convenient with a profit rate of only 4.5%. repayment is very flexible done through salary deduction which comes with Takaful coverage and up to 10 years. One of the oldest establishments in Malaysia to offer Islamic products and this bank offers the Bank Islam Flat Rate Personal Financing-i Package. The product is meant for employees in the public sector which comes with an interest rate of less than 5%. The amount is up to RM200,000 for a maximum period of 10 years. Bank Rakyat offers the Bank Rakyat Personal Financing-I Islamic loan for any reason you desire. Enjoy up to the loan amount of RM150,000 for a maximum 10 years at both flat and floating profit rates available. Rates start from 5% and is available for those working with the government, Public-listed companies and salaried employees alike. Another product by Bank Islam is the Floating Rate Personal Financing-I Package. This loan is one that you do not need a guarantor or any hidden charges. Rates start from less than 6% for up to RM200,000 and 10 years. This bank offers the BSN Aflah Prima Personal Financing-I which is a very unique product. This is because this product is meant for those working in the medical fields both within the public and private sectors. Financing amount goes up to RM150,000 for a maximum of 10 years. Offering the Maybank Islamic Personal Financing-I, this product is among the most popular coming from one of the largest banks in Malaysia. It comes with an optional Takaful protection and a competitive profit rate of 8%. You can borrow up to RM100,000 for a maximum of 6 years. Under this bank, you can apply for the Hong Leong Islamic Personal Financing-I personal loan. It is a fast-approval product which comes with a profit rate of less than 9%. The amount you can borrow is up to RM150,000 and for a period of not more than 5 years. AMbank offers the AmBank Islamic AmMoneyLine Facility-I which is a hassle-free personal loan. You actually get a 5% rebate if you pay promptly every month and it comes with a profit rate of less than 10% per annum. Borrowing amount can be up to RM100,000 for a period of 5 years. Very popular because of its quick approval process usually done within 2 days. The most stable bank in Malaysia, offering the Public Bank BAE Personal Financing-i. this is an unsecured loan based on the Bai Al-Einah concept which comes with a 4.88% profit rate espcailyl designed for government workers.